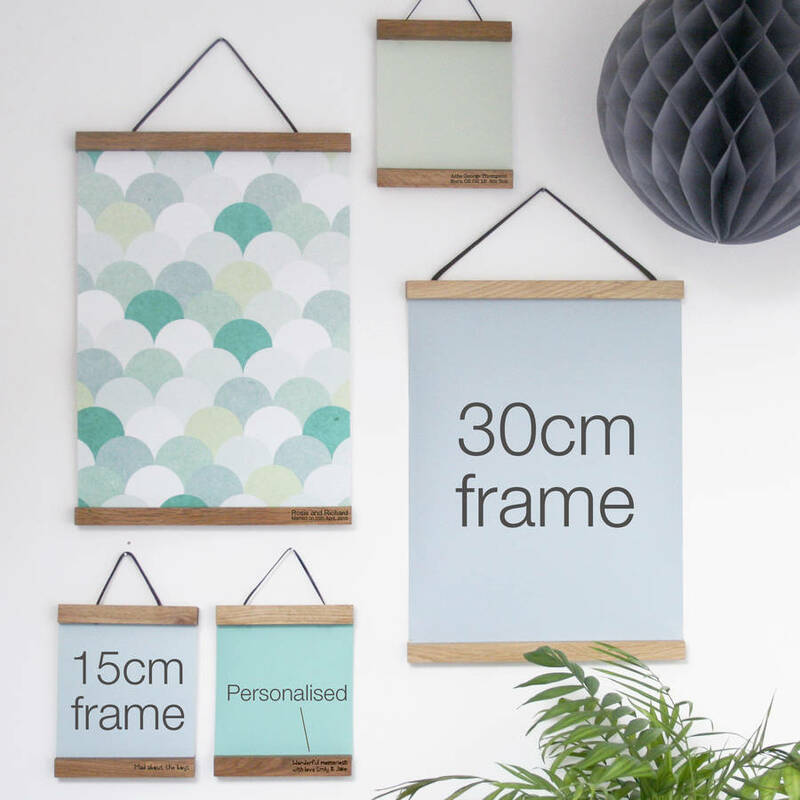 A lovely modern way to display your favourite prints. 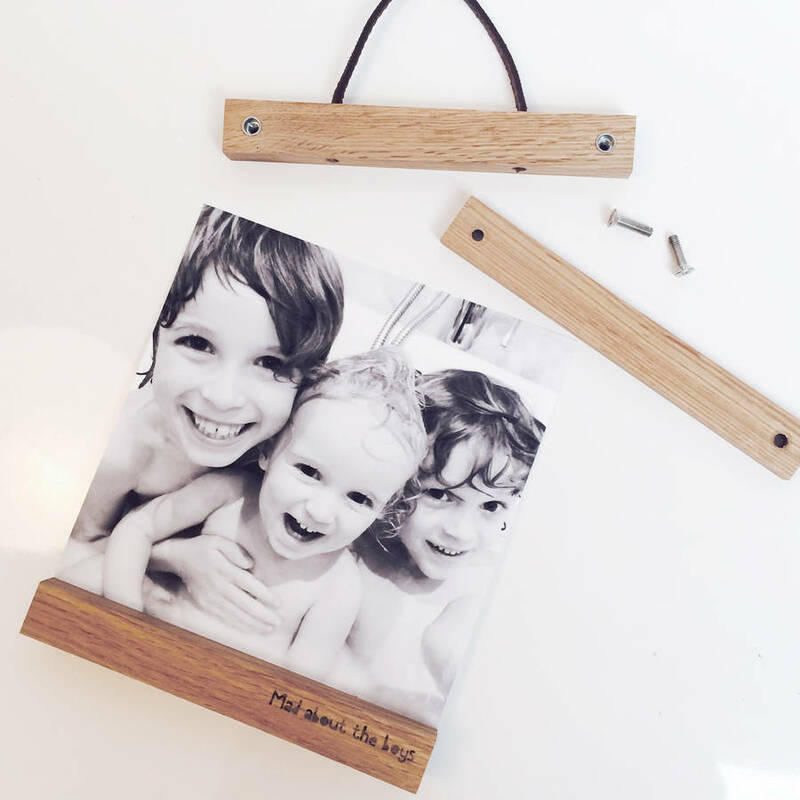 Personalised Solid Oak Picture Hanger engraved with your words. 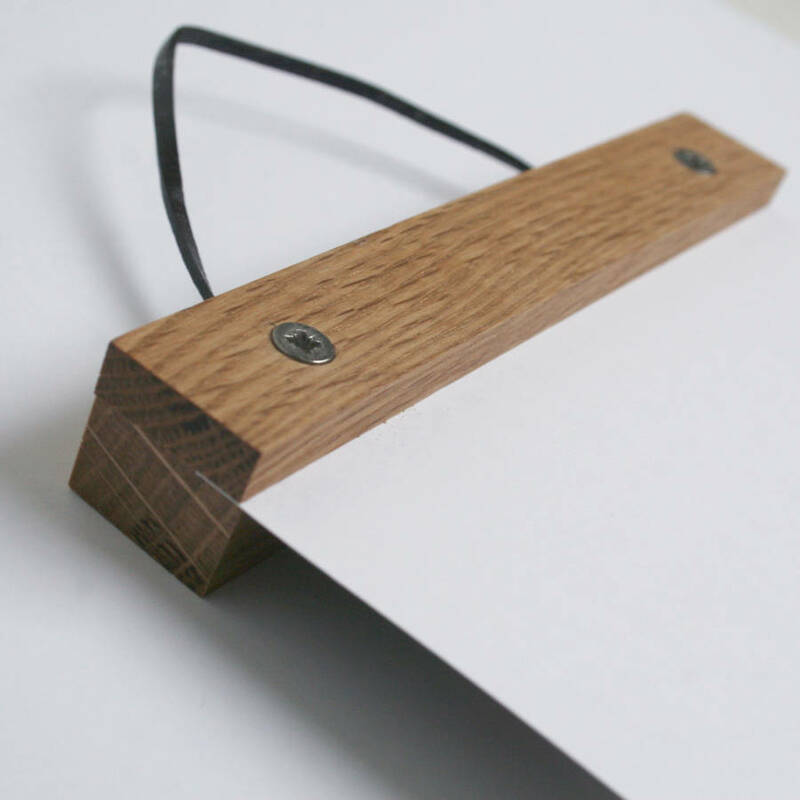 Easy and quicker than traditional framing our solid oak hangers, which are handmade in Yorkshire, allow you to change your wall art to suit your mood. 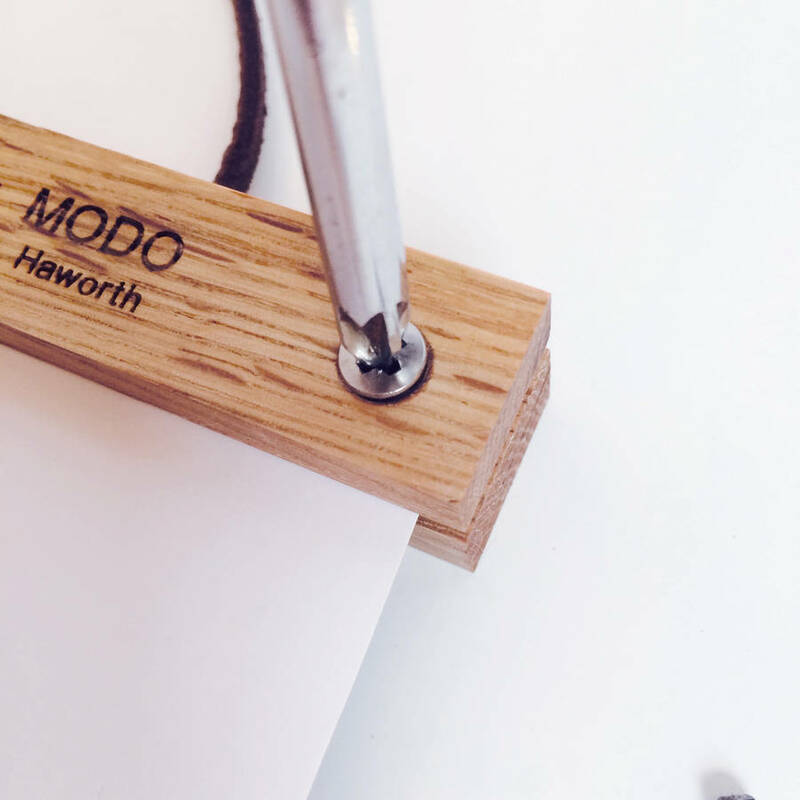 Unlike the cheaper magnetic frames, these can carry more weight and thickness, including fabric. 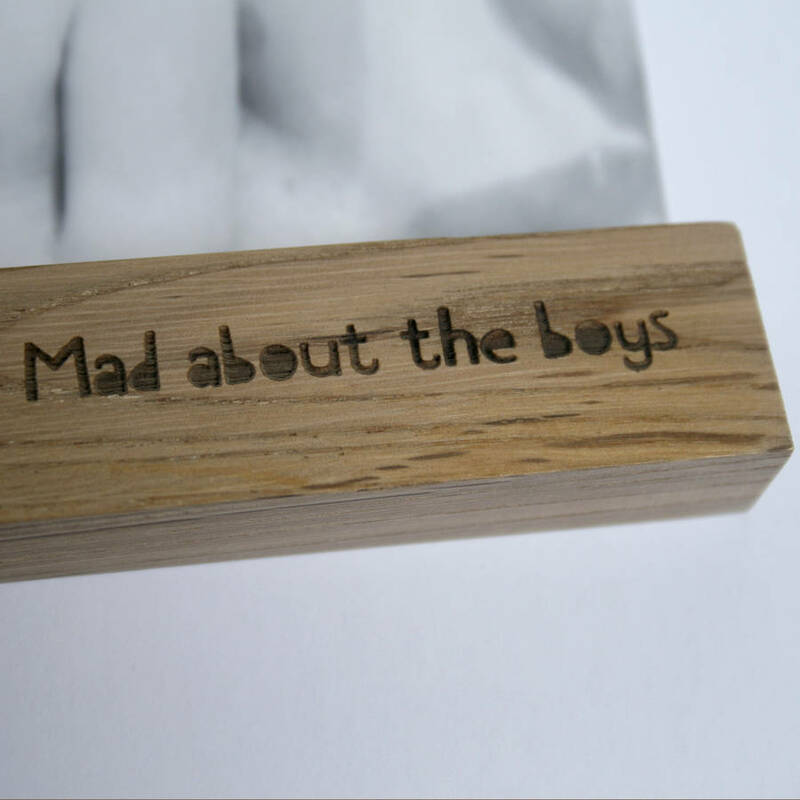 For an extra special touch, why not incude a discreet oak-engraved message to run along the bottom bar of your hanger? 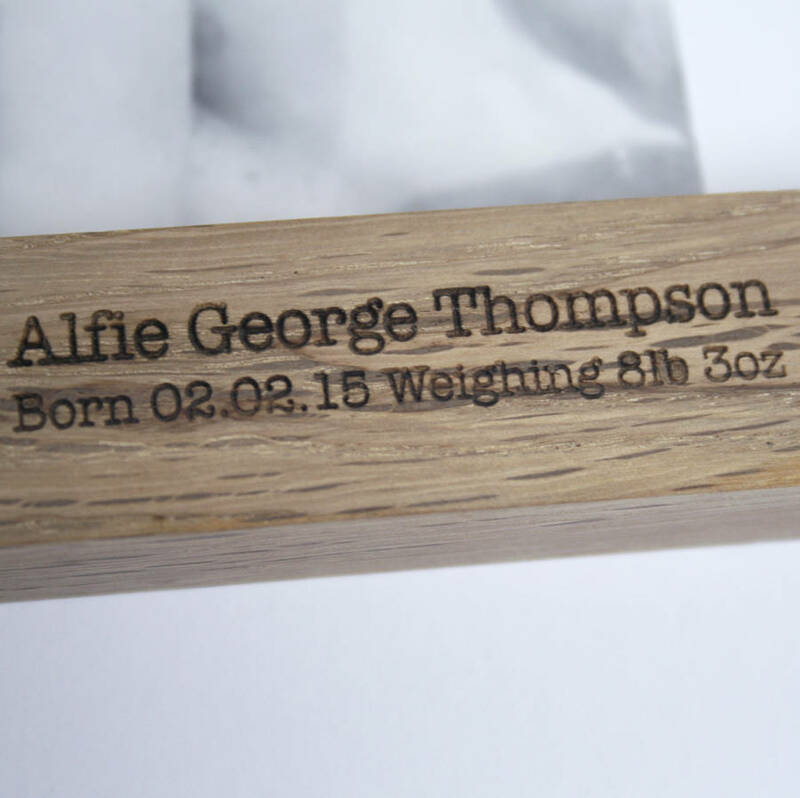 Perfect as a new home gift, a wedding present or maybe a new baby gift. The frame can be taken apart easily for simple switching of photos, prints, posters, children's drawings, etc. 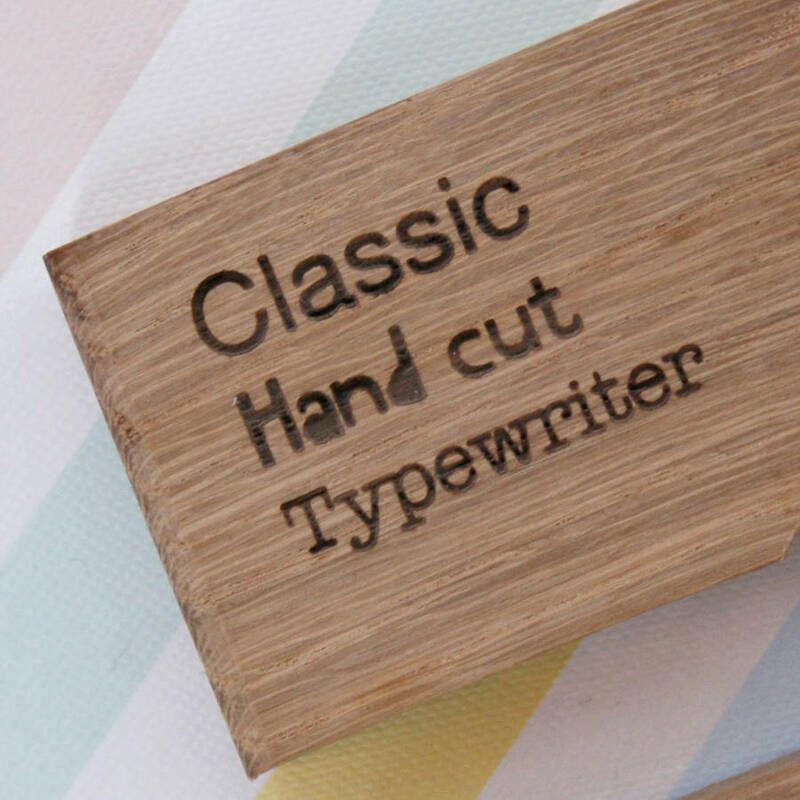 Available in beautiful, oiled oak. Please note. This listing is for the frame only. 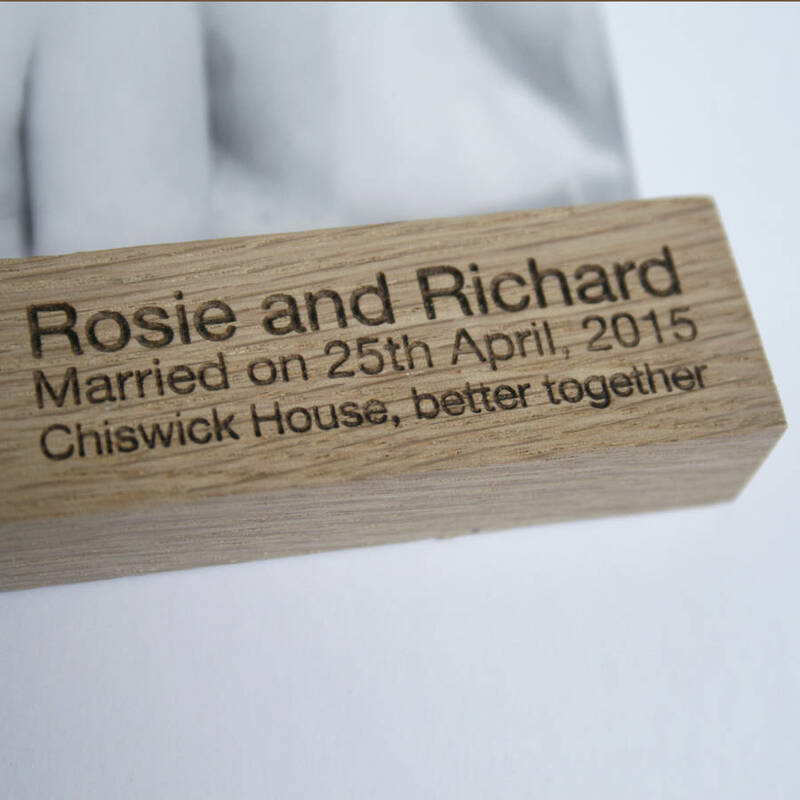 Available in 2 sizes, small 15cm width x any length or large 30cm width x any length.